Two Man of Steel trailer came out this weekend. 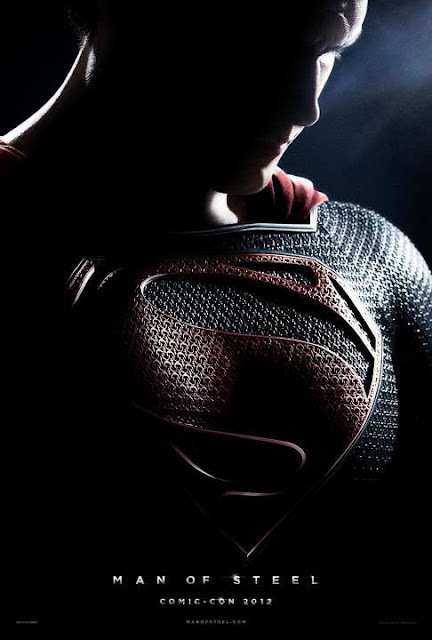 The two trailers are narrated by the two 'fathers' in Clark Kent’s life. The first is narrated by Russell Crowe who plays his Kryptonian biological father and the other by Kevin Costner who plays Jonathan Kent. The imagery for both trailers are identical. I have to say the trailers are disappointing. For me anyway. I have no idea what to expect from this film, and everything I've seen so far hasn't given me much of an idea either. If not for the distinctive "S" logo showing up at the end of the trailer, this could be any trailer. All we get to see is a bearded dude working on a fishing boat and a little boy running around the yard of his house. Yup that's it. Weird for a superhero film. Well fingers cross for something more soon. Check out the trailers below.